For those who want to be able to defend themselves and others. 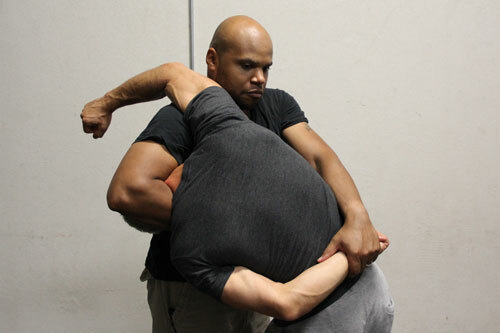 The Fighter Program at the Tactical Arts Academy is a path of learning self defense and martial arts skills. 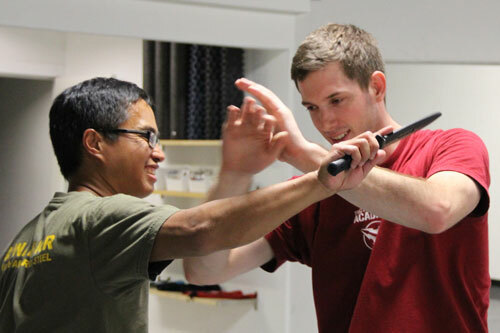 We offer you several disciplines for your study, including our Integrated Self Defense / Defensive Tactics, Filipino Martial Arts, and Indonesian Martial Arts. You can choose to study one or more disciplines to best meet your goals. The Fighter Program will enable you to develop practical skills in a safe environment with a well planned and thoroughly developed curriculum. Our instructors have regularly trained with the grand masters of our martial arts programs and top instructors from the firearms and self defense community. Chief Instructor Leslie Buck, has taught instructors for the Philippine Marines, the US Army, private citizens, and he can teach you. Whether you want to focus on simple skills you can learn in a short period of time or you want to go into depth in a fighting system, this is your path. We will train you for application to maximize your time training and make it safe and enjoyable to learn at the same time. No contracts. Just month-to-month for classes. Training is available in a variety of formats: classes, workshops, and private lessons. Filipino Martial Arts classes meet Monday through Thursday nights with early evening and later class times to fit your schedule. Classes, workshops, and private lessons are held at the Tactical Arts Academy in Austin, Texas. Classes are $119 per month. Private lessons $40 per 1/2 hour. Workshop prices vary. Instructor Leslie Buck has decades of experience in martial arts and self defense. He holds the rank of Tuhon (master) in Filipino martial arts, and is a firearms instructor with many certifications. He has consulted as an instructor for the Philippine Armed Forces, the US Army and US Marines. Leslie also teaches law enforcement for many departments both large and small in Texas. He has spent the last 12 years operating Tactical Arts Academy so that he can help private citizens like you learn to protect themselves.